In our ever-connected society, it is hard to remember to disconnect from the stream of information and turn your focus to yourself. To many, meditation is sitting in a room and forcing yourself to switch off your thoughts. This is not only next to impossible, it isn’t the main goal of meditation at all! Meditation is also not a lonely practice, and there are many resources to aid you in beginning your journey through mindfulness. Though I can rarely sit in silence and concentrate, I find it easiest to enter a meditative state when I follow a guided meditation. Here are a few affordable resources I use to get my zen on! Meditainment was one of the first free guided meditation resources I found to be very effective. When you sign up, Meditainment takes you through 18 different meditations, each one a visualization of a different tranquil setting, such as a secret garden and a serene spa. The narrator’s voice is incredibly soothing, and before you are swept away on your journey, each meditation includes an induction to help your mind enter a meditative state. These lead-ins have proven to be great practice for me when I have decided to meditate without guided aids. The website is free to use, but if you want unlimited access to all 18 places on the journey at once, you can pay a one-time $30 fee. A great price for a lifetime of meditative adventures! The concept behind DigiPill is interesting: meditations focused on improving specific conditions are presented as “pills,” and can be bought from a catalog aptly named the “Pharmacy.” From deep sleep to presenting the perfect pitch, DigiPill’s meditations cover a wide variety of subjects with meditations that specifically pinpoint your needs. The narrator’s voice is soothingly hypnotic⏤a welcome change from most meditation apps. These meditations can be used when actively meditating or when relaxing into sleep⏤quite convenient for those who are on a tight schedule. The app is free, and prices range from $2.99 to $6.99 for lifetime access to each meditation. It even comes with a free relaxation meditation! If you’re not ready to commit to buying each meditation, I recommend taking advantage of the “Prescriptions” feature. 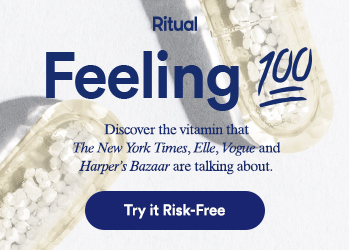 You can subscribe to all of the pills for one month ($4.99) or one year ($19.99) and experiment. This way, you can discover your favorites, then download them for lifetime access. Relax+ is a culmination of Clinical Hypnotherapist Andrew Johnson’s recordings that help with a variety of conditions. Choose your induction type, therapy topic, music track and conclusion, and you’re off! Andrew’s voice is incredibly soothing, and each track speaks to your unconscious mind as you drift off to sleep. Andrew’s tracks are closer to hypnosis than meditation, but they have helped me tremendously in my practice to enter a meditative state. Plus, they’ve been life-changing in terms of how quickly I am able to fall asleep! Each track is $1.99, and subjects range from deep relaxation and deep sleep, to nail biting and even gambling control. I highly recommend this app as a supplemental tool to your own meditation practice. The benefits of meditation are boundless. With consistent practice, meditation can actually transform your brain and reduce anxiety and depression. My anxious and depressive symptoms are cut in half when I turn off my devices and focus inward. What meditation tools/apps have you found to be helpful in fostering your meditation practice? Comment below! I’d love to hear from you.